*Rod Laver: The tennis left-hander, who holds the record for most singles titles won in the history of tennis, with 200 career titles. He was ranked World No. 1 for seven consecutive years and is the only player, man or woman, to have twice won the ‘Grand Slam’ (all four major singles titles in the same year). *Onny Parun: OBE & former New Zealand tennis player of Croatian descent, who was among the world’s top 20 for five years and in 1971 and 1972 reached the quarterfinals at Wimbledon. In the New Zealand tennis scene Fairlie and Parun often found themselves across the net from each other in singles matches, although they played together as a doubles pair. *Brian Fairlie: a retired New Zealand tennis player. During his career from 1968 to 1979 he won four titles in doubles. In both 1975 and 1976 Fairlie reached the finals of the Heineken open in Auckland, losing on both occasions to fellow New Zealander and Davis Cup doubles partner Onny Parun. I was lucky enough to see both matches. *Stanley St: The Stanley Street grass courts in Parnell, Auckland. It is now the ASB Tennis Centre. *Joe Karam: The New Zealand lawyer of Lebanese descent, who played as full back for All Blacks from 1972 to 1975. In the above test match against Wales Karam contributed 15 of the All Blacks’ 19 points from his goal kicking. New Zealand won the match 19-16. *Ali: Muhammed Ali, the world heavyweight boxing champion, generally considered among the greatest heavyweights in the sport’s history. 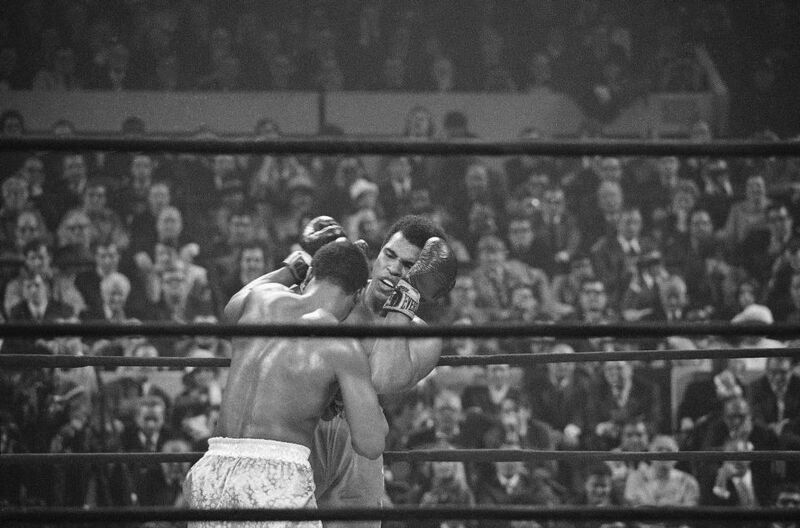 * The Fight of the Century (also known as The Fight) is the title boxing writers and historians have given to the boxing match between champion Joe Frazier and challenger Muhammad Ali held on March 8, 1971, at Madison Square Garden in New York City. *Fischer: Bobby Fischer, the American chess grandmaster regarded by many as the greatest chess player in the history of the game. *Spassky: The Russian, Boris Spassky, the reigning chess world champion at the time. *Ice cave: The match was played in Reykjavik, Iceland, and was fraught with initial ‘theatrics’ on Fischer’s part including forfeit of game 2 until the match was played out of direct view of the media as he requested. *‘Kornies…Weetbix’: two popular Australian/New Zealand breakfast cereals of the 1960s & 1970s. ‘Kornies’ are now ‘Weeties’!? Weetbix, as ever, champion on.